Ridge Runner 2 Piece Camo Folder Set | BUDK.com - Knives & Swords At The Lowest Prices! These lightning-fast, assisted-open tactical rescue folding knives are perfect for law enforcement and rescue personnel! 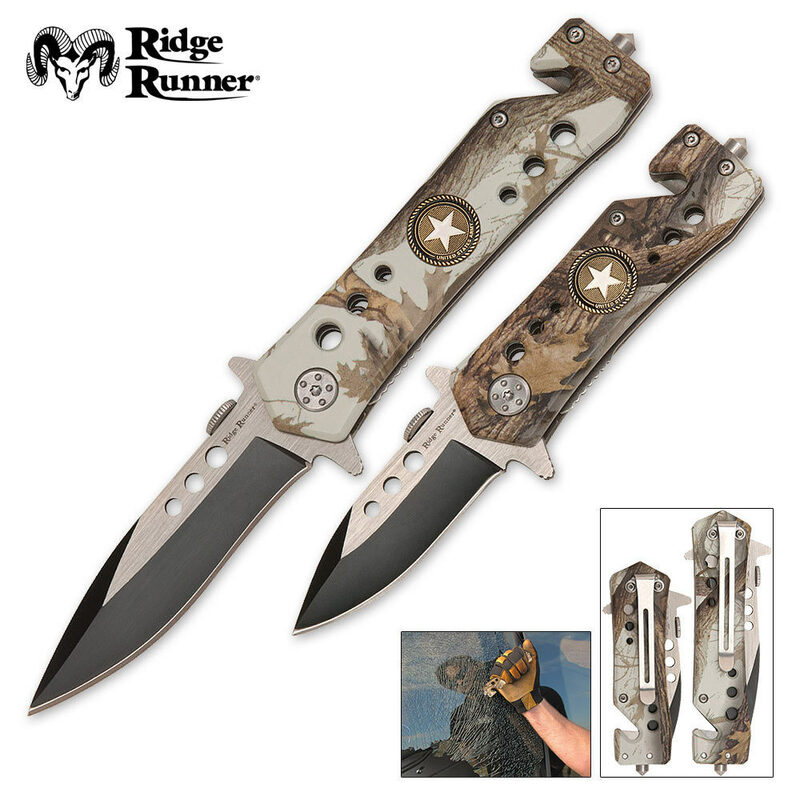 Each folder features a coated AUS-6 stainless steel blade and camouflage ABS handles. Powered by a Speed-Safe assisted-open mechanism, these knives blast open at lightning speeds! These knives include glass break spikes, seat belt cutters and stainless steel pocket clips. Blade Lengths : SM: 3 1/2" LG: 4 1/2"; Closed Length : SM: 3 1/2" LG: 4 1/2"